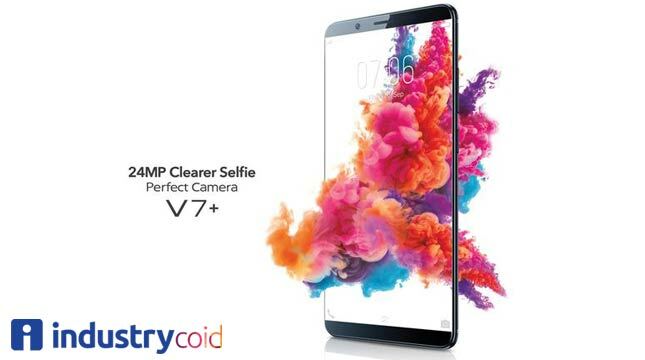 INDUSTRY.co.id - Vivo V7 +, Vivo's latest flagship product not only offers 3 ways to unlock smartphones: Pattern, Code, and Fingerprint, but also immerse a sophisticated and efficient facial biological scanning technology to unlock the smartphone with just one "gaze", Face Access. With fingerprint scanner placement on the rear of the smartphone to maximize the FullView Display's full screen display, the Face Access feature on V7 + complements the convenience and convenience of accessing the smartphone. Producer Manager of PT Vivo Mobile Indonesia, Irfan Alfianto stated Face Access is an advanced feature that is able to read face point in less than 1 second. "The technology used in Face Access scans dots on the face as well as reading the contours of the user's face. This feature can also be combined with the feature 'Raise to Wake' to make smartphone access easier," said Irfan through a written statement to INDUSTRY.co.id. The Face Access feature on Vivo V7 + recognizes the user's face and unlocks the phone screen without touching the smartphone. Improving privacy and alternatives to the fingerprint or pattern commonly found on smartphone in its class, users simply swing the smartphone facing the face, then Vivo V7 + will scan the biological point of the face to then become the access key. Various tests are also done to ensure Face Access works best to keep smartphone safe and stay efficient when in use. Marking various faces in a single scan, Face Access on Vivo V7 + is powered by advanced technology that ensures that Vivo V7 + will only be opened exclusively by the user and works only when used live. Vivo V7 + users can still use Face Access in various dynamic conditions such as: using make-up, growing beards, wearing contact lenses, using reading glasses, changing hairstyles, wearing hats, hijabs, including showing various facial expressions. In addition, the Face Access feature can still work when the light is minimal. This is what makes Face Access technology one of the most featured features, along with the FullView Display and the world's first 24MP front camera. To use Face Access on Vivo V7 +, the user can immediately activate this option in settings> open 'Fingerprint, Face and Password'> select the option Face> add lock code> register and scan face up to 100%. Make sure the Quick Recognition option is active and combine with the Raise To Wake feature for Face Access faster and easier. Raise To Wake itself is the latest feature in Vivo V7 + that makes users easily turn on their phones just by lifting the smartphone. Accelerometer on Vivo V7 + will help detect smartphone cues and turn it on once it's picked up. For users who are accustomed to accessing smartphones in conventional mode, the Face Access feature on Vivo V7 + can be activated in conjunction with Fingerprint, Pattern and Code. Fingerprint Vivo V7 + able to open the smartphone in less than 1 second and still ensure the security and ease of accessing the smartphone.